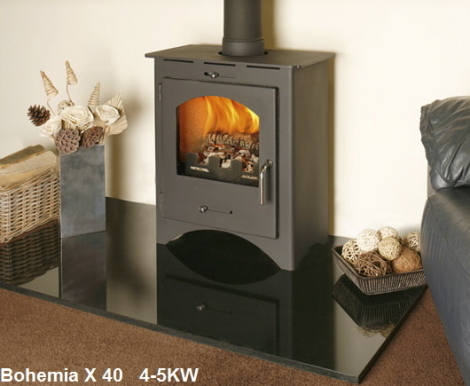 Bohemia X 40 Multi Fuel Stoves offer outputs up to 4KW in useable heat outputs to heat the small of rooms. 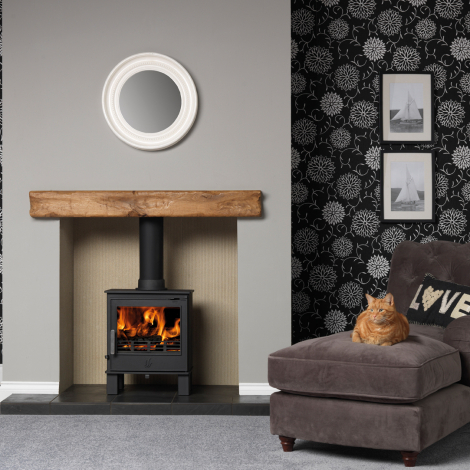 All our Bohemia X range of stoves have been recommended for use in smokeless zones throughout England, Ireland and Scotland from October 2010. 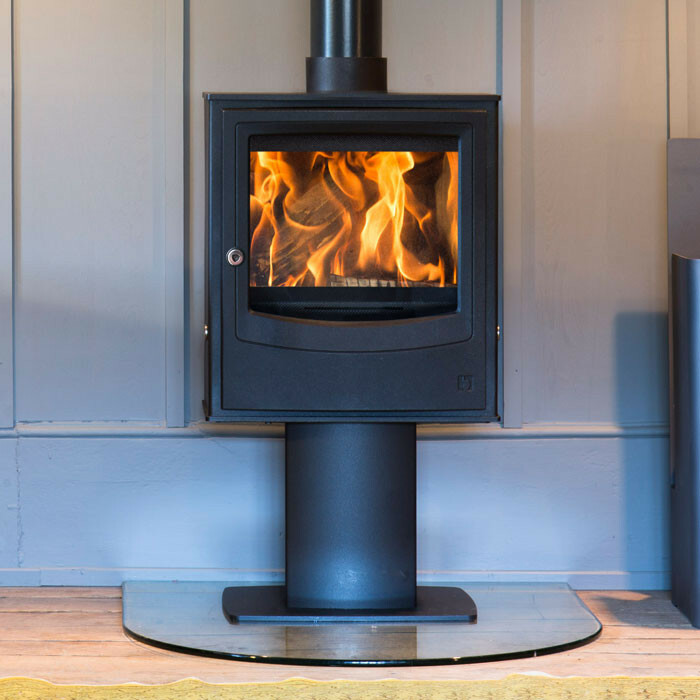 The fontal dimension of these stoves share a common size of 545mm x 606mm height with the depth of the stove increasing which changes the output of the stove but still allowing a large 400mm (16”) log to be loaded. 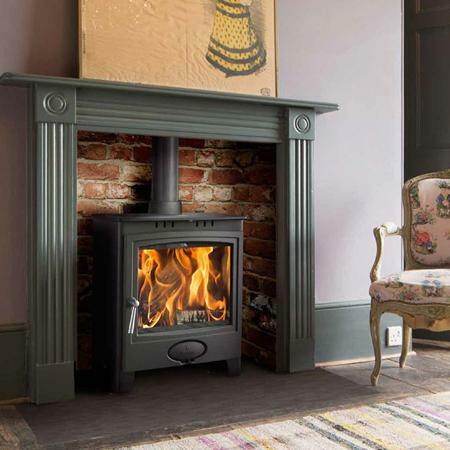 Choose from the super slim-line Bohemia X 40 which gives a full size appearance but with its slim and narrow depth allows it to be installed into small rooms or town houses where space may be a premium. 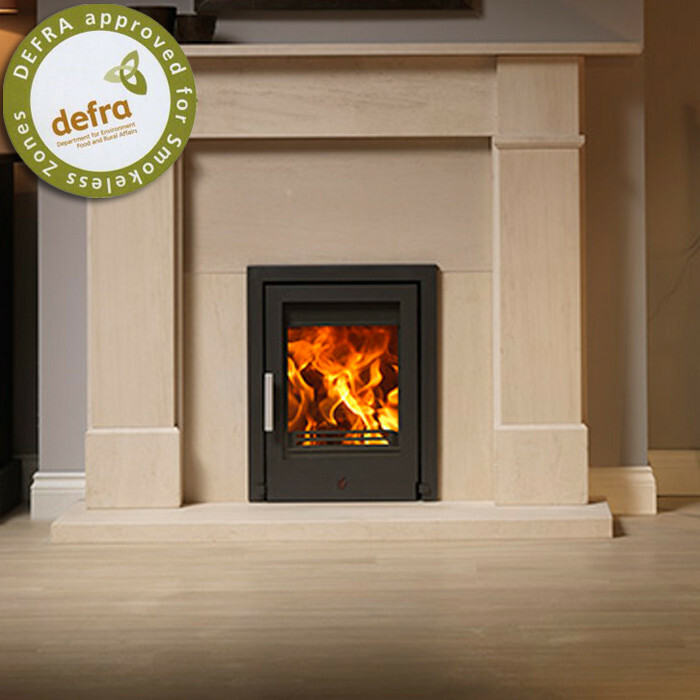 Our Bohemia X 50 is the most popular in our range and will suit the majority of fireplaces and room sizes but for larger rooms consider the Bohemia X 60 which will give up to an impressive 8KW of heat output. 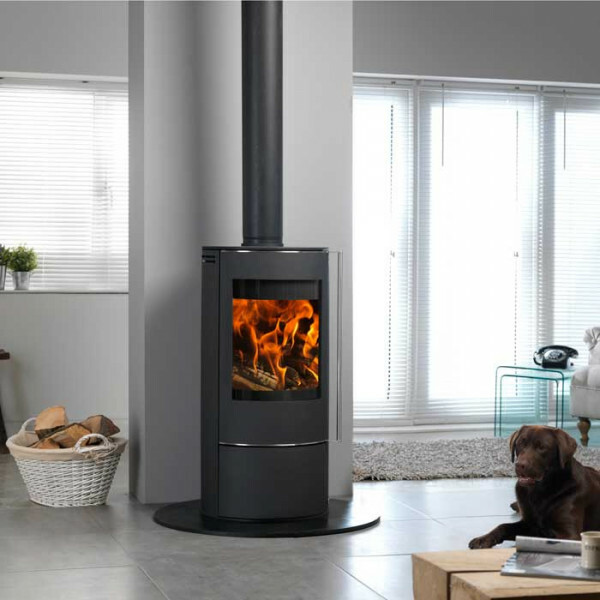 Open the door on any of these models and load logs up to 400mm (16”) and you will enjoy a wonderful view of the fire through the large clear window whilst enjoying the radiant and convection heat. 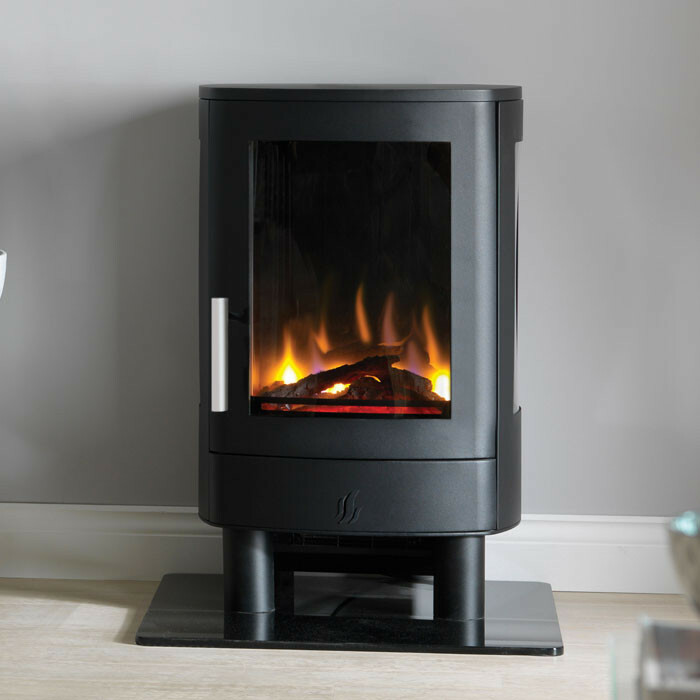 All the Bohemia X models incorporate the latest clean burn technology which improves efficiency, lowers CO and reduces the particulates that the stove produces allowing them to be recommended for use in smoke control zones. 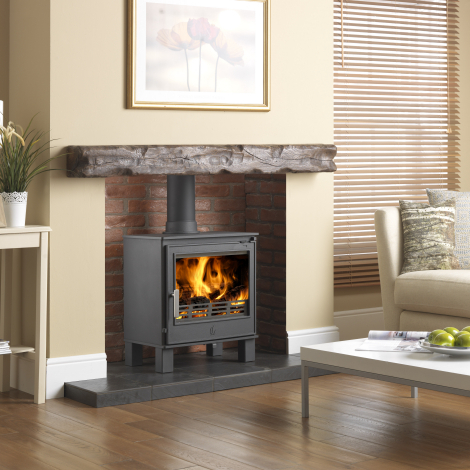 All stoves feature airwash to keep the glass clean, primary and secondary air controls, built in tertiary air to burn off any hydrocarbons, adjustable feet, bolt on flue collars, chrome door handle and air sliders and a top convector plate. 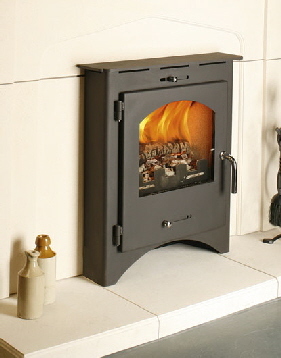 Bohemia X stoves are covered by our 5 year (conditional) guarantee.